The 10th anniversary EMMA-JAX cryopreservation course has been held in Monterotondo-Rome (Italy), at the IBC-CNR “A. Buzzati-Traverso” Campus, on November 23-26, 2009. ISTT has supported this course, according to the cooperation agreement signed with EMMA, and hence, the Society was presented to all participants and teachers. Ten participants were selected among all applications received and could learn about mouse embryo and sperm cryopreservation, among other related topics. They practised state-of-the-art techniques about how to cryopreserve mouse sperm, how to do an in vitro fertilization, how to obtain and cryopreserve 2-cell IVF-derived mouse embryos and how to do vitrification. In these ten editions since 1999, more than hundred participants have attended these annual cryopreservation courses, thus contributing to the successful spreading of these techniques among many laboratories from many countries around the world. The faculties for this course were Stanley Leibo (Univ. New Orleans, LA, USA), as Course Director; Robert Taft (The Jackson Laboratory, Bar Harbor, ME, USA); Jorge Sztein (NIAID-NIH, Rockwille, MD, USA), Kent Lloyd (Univ. California, Davis, CA, USA), Martin Fray (MRC-MGU, Harwell, Didcot, UK), Susan Marschall (IEG, Munich, Germany); Lluis Montoliu (CNB-CSIC, Madrid, Spain); and Raffaele Matteoni, Ferdinando Scavizzi and Marcello Raspa, from IBC-CNR-EMMA, Monterotondo, Italy. The instructors included Jane Farley and Sian Clemmens, from The Jackson Laboratory, and Arsenio Armagno, Daniele Iannilli, Tiziana La Penna, Ilaria Losso and the rest of cryopreservation support personnel from IBC-CNR-EMMA, Monterotondo, Italy. Important reminder for ISTT Members: deadline for submitting applications for TT2010 registration awards is due in 15 days, on December 1st, 2009. The ISTT will sponsor up to eight registration awards for ISTT members willing to attend the TT2010 Meeting. Applications for registration awards by ISTT members should be sent, along with the requested documentation, to istt@transtechsociety.org by December 1st, 2009. Applicants must register at the TT2010 Meeting website and select, as a payment method, “application for registration awards”. The ISTT will pay the Registration Fee of all applicants selected for an award. However, if they are not selected they would be requested to pay the corresponding registration fee. Award decisions will be communicated by December 16th, 2009. Awardees will have their TT2010 registration fees entirely waived. Awardees will receive a diploma at the TT2010 meeting. Applicants may join the ISTT and simultaneously submit registration award applications. 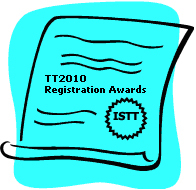 Registration awards for the TT2010 meeting will only be provided to ISTT members who have paid their 2009 annual fees. Detailed instructions to apply for ISTT Registration Awards. A new database on CRE transgenic mouse lines has been released at the Mouse Genome Informatics web site of The Jackson Laboratory. Frequently, researchers and professionals within animal transgenesis and animal models fields, search for transgenic mice expressing the CRE recombinase protein in a subset of specific cells or cell-types. These CRE transgenic mouse lines are most useful for conditional mutagenesis procedures, where the eventual deletion of a previously-floxed gene needs to be restricted to an organ, a subset of cells or a developmental time point, according to the expression pattern of the promoter and regulatory regions that have been included in the construct. The laboratory of Andras Nagy at MSHRI (Toronto, Canasda) pioneered and kindly maintains the first database of CRE transgenic mouse lines (CRE-X-Mice). Now, the Mouse Genome Informatics website, at the Jackson Laboratory, has collected and organized a new database on CRE containing transgenes/knock-in aleles that can be easily searched, integrated with the rest of usual and helpful MGI resources. Therefore, it will be now much easier searching and, eventually, finding the desired CRE transgenic mouse line to perform the planned experiments. The next (5th) annual ISTT General Assembly will be held on November 17, 2009, at 22:00 Madrid time (GMT+1) at the ISTT Chat room, within the members-only area of the ISTT web site. Check with the World Clock Meeting Planner to find your corresponding local time in your city. Agenda of the meeting has been distributed among ISTT Members. Transgenic Research, the scientific journal published by Springer and associated with the International Society for Transgenic Technologies (ISTT) has recently published several reports of events where ISTT has been present as co-sponsor, supporting the corresponding conferences. 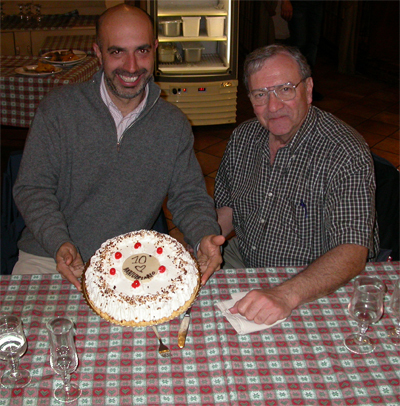 The two most recent reports published include that of 5th Workshop on Innovative Mouse Models (IMM2009) held in Leiden (The Netherlands), written by Marian van Roon, and the corresponding report of the VI Transgenic Animal Research Conference (UC Davis) held in Tahoe (CA, USA), prepared by Louis-Marie Houdebine. Both reports are accessible as “online first articles available” in the journal web site. ISTT Members benefit from access to full online contents of all articles published in Transgenic Research, as one of the rights associated with ISTT Membership.